possible in our high tech factory. we always try to beat the expectations. Shafts make our heart go faster. Ever since the foundation of Jakom we have focused ourselves on the production and development of the ultimate shaft that is reliable. 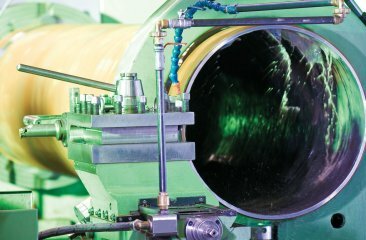 We know how important a shaft is to make a machine operate, regardless if this concerns the engine of a ship or the operation of a pump. The shaft is literally the spindle. 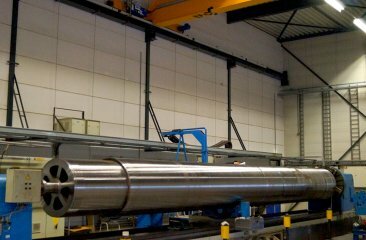 We produce shafts in any desired material and from 10 centimetres up to an amazing length of 23 metres. 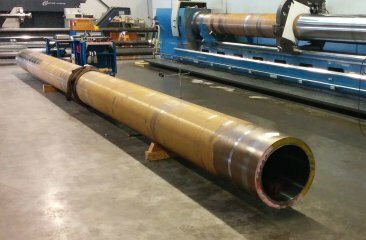 Therefore, the production of a shaft is always customised work. This is well reflected in the cylinder rods. They are subject to our high requirements in the field of parallelism, straightness and roughness but also face the most diverse surface treatments such as chrome, nickel, ceramic layer or coating. With the arrival of our new custom-made peeling machine we take that extra step. Because never before was it possible to lift the manageability of the production process to a new, unknown high level and significantly reduce the lead time at the same time. With the production of axles, the focus is on precision, accuracy and management. 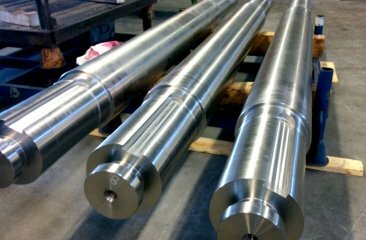 But with the development of a pump shaft there is another important point that determines the success and the quality of this shaft: a consistent high precision and straightness. To achieve this, craftsmanship and all lot of attention is required. 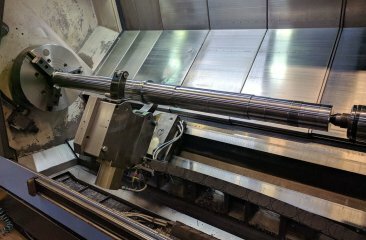 After all, the material tension that is released during machining, will bend the axle. 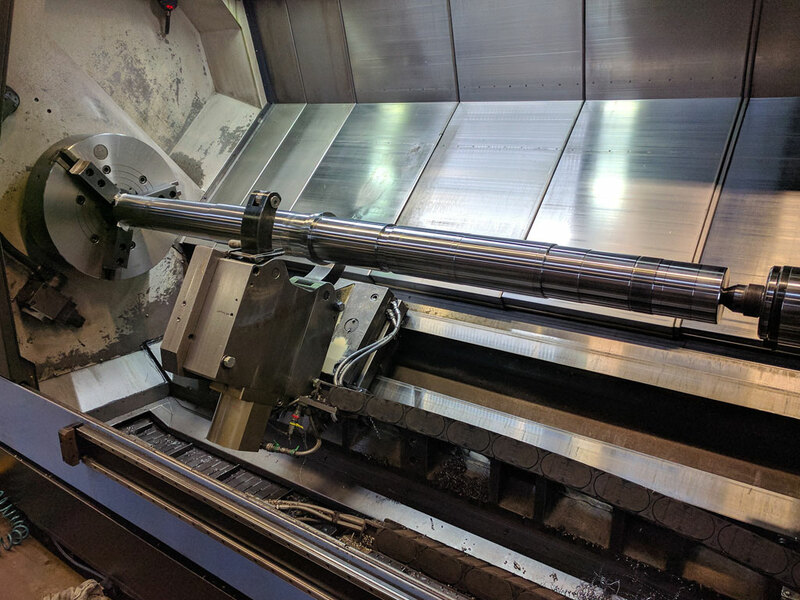 Due to our investment in the innovation of our production methods, we are able to already minimise the tension during the machining. Therefore, we maximise the straightness and with an extreme requested straightness of the shaft we can also direct this. 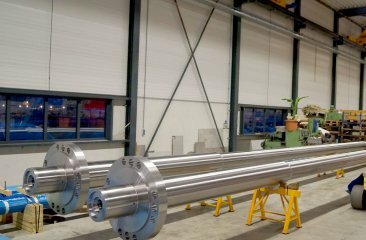 So, every pump shaft that leaves our factory in Cuijk is a unique piece of work made with a specific approach and a lot of attention. Whether it concerns a large oil tanker, a marine ship of a pleasure yacht: no vessel can do without a good functioning propeller shaft. We had the pleasure to make this in all types and sizes and from the most diverse materials and therefore the propeller shaft has an important place within our company (and also our heart). 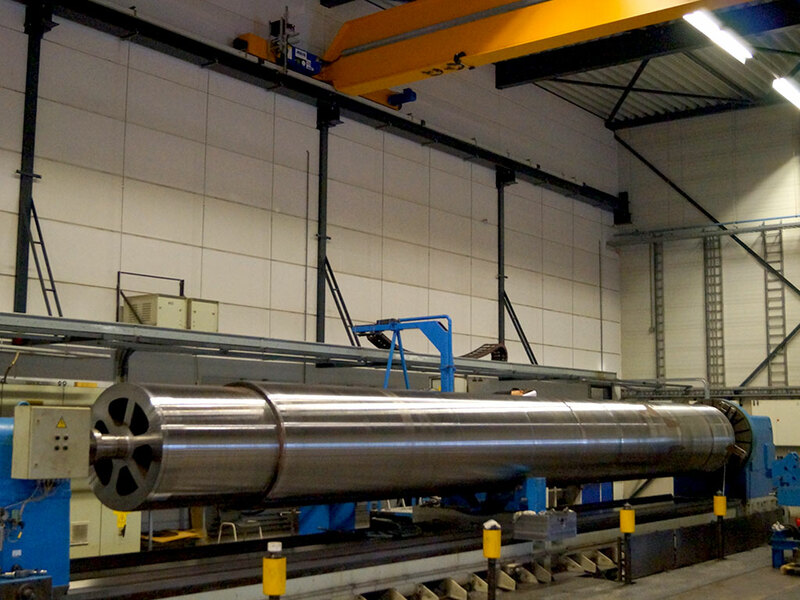 We are proud to say that we are a specialist in the field of propeller shafts.  In particular, the rotation of the cone is something we are progressive in. We can, due to our unique production techniques regarding the rotation of the cones, give the guarantee on an excellent bluefit. Just to give you an example: An increase from 1:10 to 1:30 is not a problem for us. 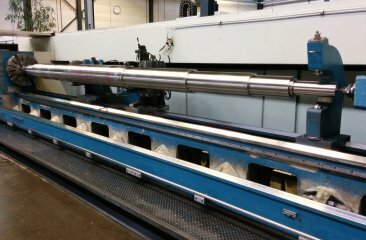 Drilling the deep hole to 16 metres for a CPP propulsion system we can arrange in-house so we can deliver a complete and direct useable propeller shaft. A 17-metre cylinder rod with an extreme ratio between length and diameter. 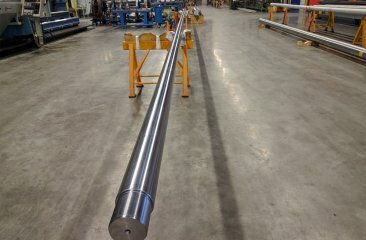 A pump shaft of 3 metres, fully made from Super Duplex material. 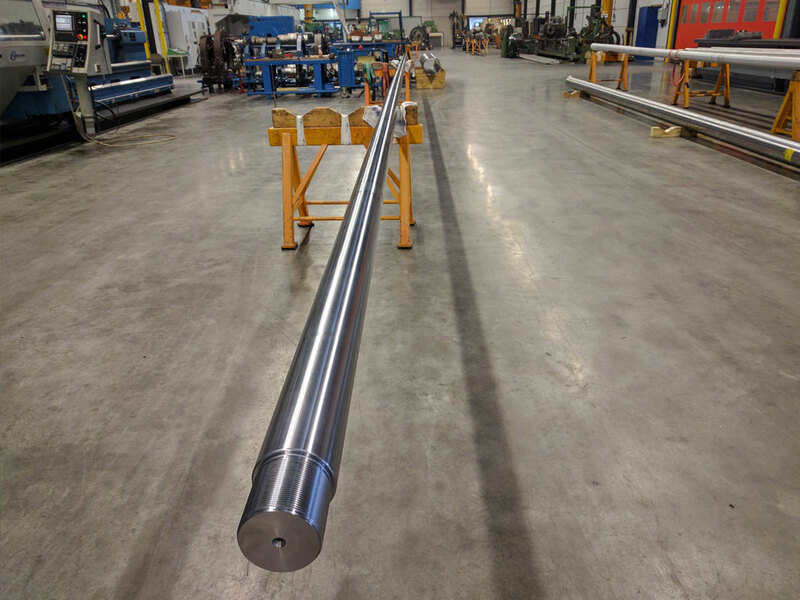 A pump shaft of 8 metres fully made from Super Duplex material. 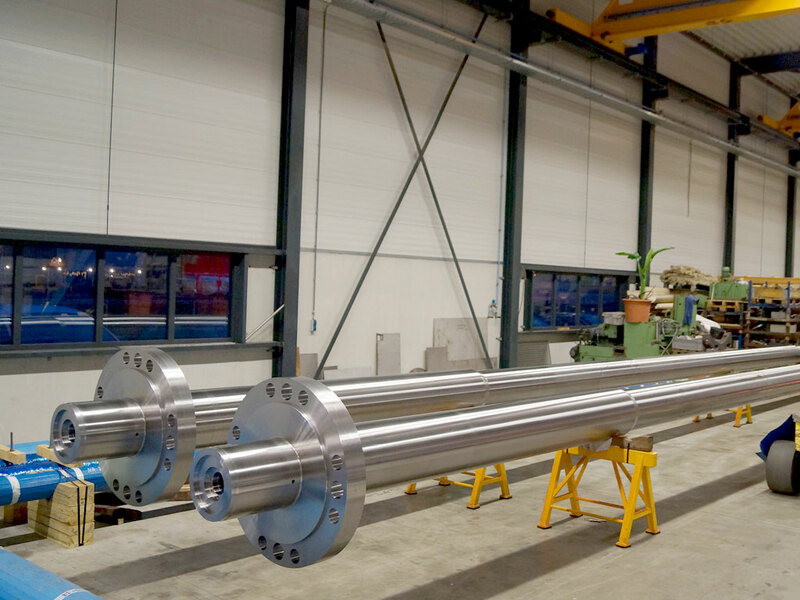 A pump shafts of 2.5 metres, fully made of Duplex material, for water treatment and irrigation. 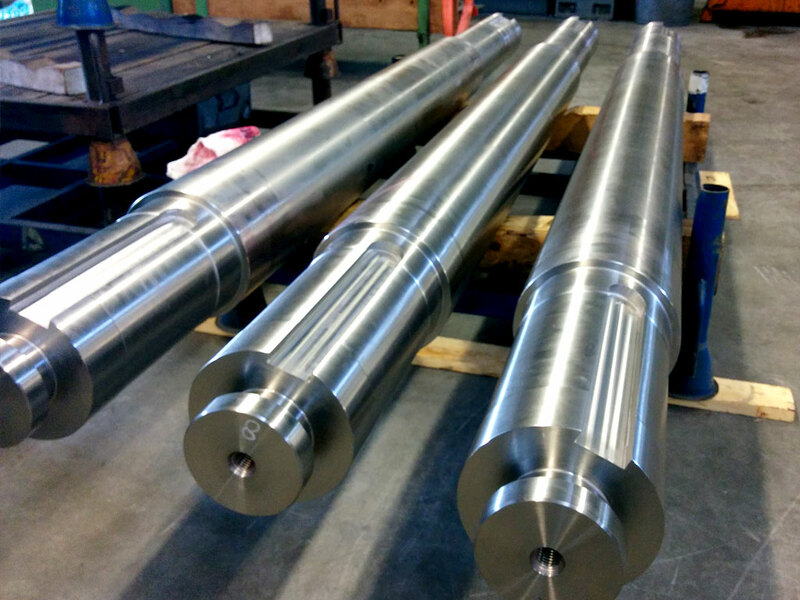 Propeller shafts for a CCP propulsion system with a length of 17.3 metres. The centre holes are drilled one-sided and have an extreme small gradient. They are available in all types, sizes and application possibility; the roller. Whatever the final goal is of this product, we can produce it. The possibilities in both production, size as finishing are almost endless. We produce them in the most extreme dimensions and arrange for diverse surface treatments so for any demand we can produce the perfect roller. From small to large, from aluminium and steel (types) to high-alloy materials and if necessary chromed or rubberised; there is no roller that we cannot produce. We also produce cooling and heating rollers, that, as is in the name, can be used for extreme purposes. Here there are also many options. From a single inlet and outlet to a double cooling coil. We have a suitable solution for any question, due to our years of expertise and the challenging questions that customers have asked us in the past. 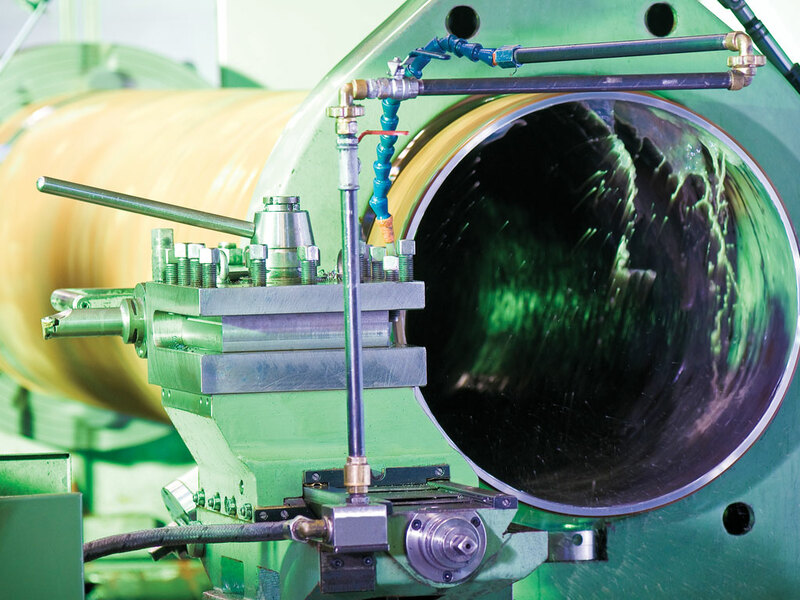 This is how we realise unique cooling and heating rollers that thanks to our high-quality requirements can handle any challenge. We find a totally different application of rollers in the so-called driving and reversing rollers. 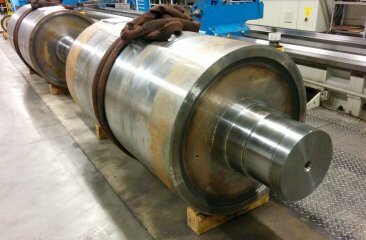 These types of rollers have a complete own production technique as this is a total different application. A production technique that we have developed ourselves. So, it is not surprising that we state that driving and reversing rollers are one of our specialities. For example, we can produce the contours of the cable groove ourselves. Always customised just as you want it. 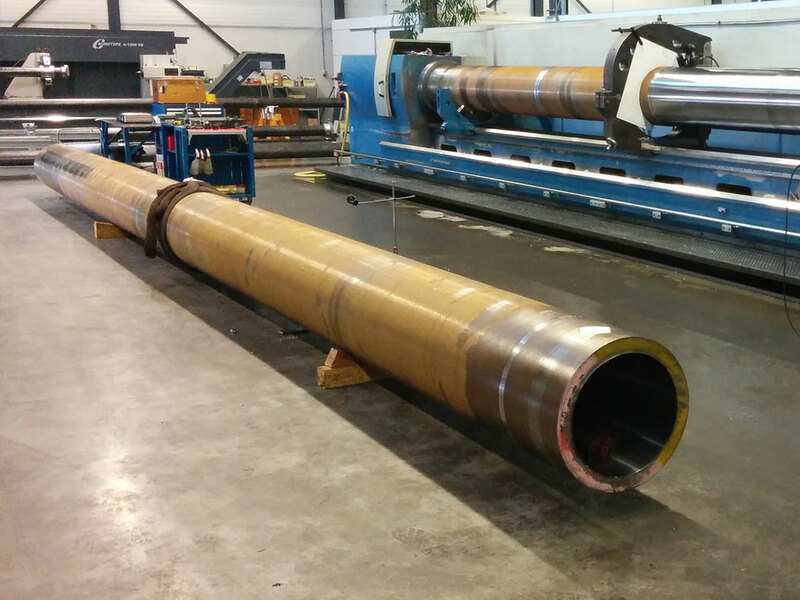 A 10 metres long mandrel with a diameter of 1.2 metres. The wall thickness of this mandrel is only 15 mm. 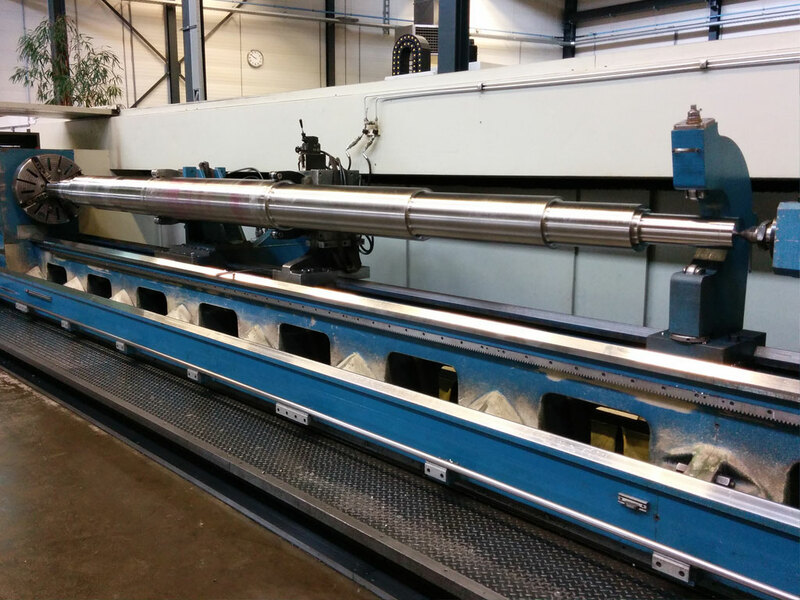 The mandrel is used as mould for the production of glass-fibre plastic tubes. The ‘body’ of the roller is produced. 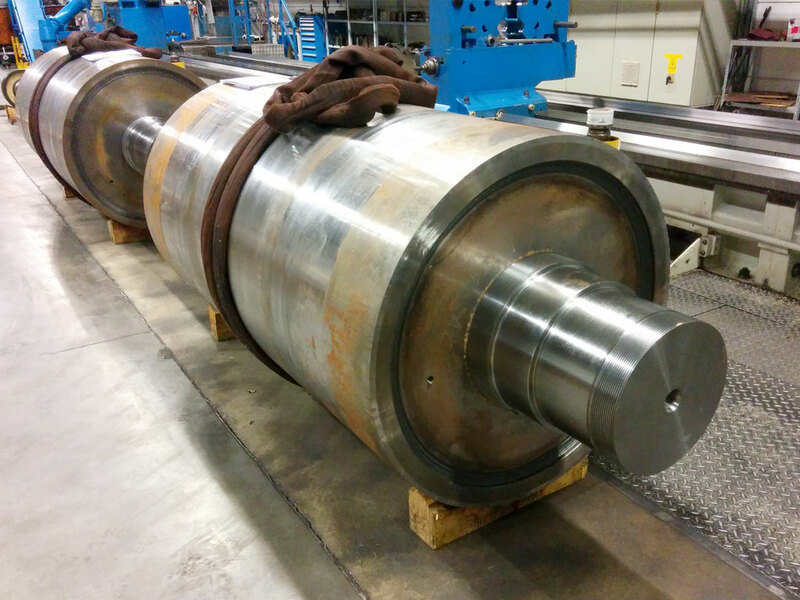 The roller is ready to be machined. We are Jakom. Since 1986, we are the passionate and specialised shaft and roller producer. We are not just able to produce the largest, thickest, thinnest and longest shafts and roller, but we mainly do this with passion.